Despite rising to the highest level for more than three weeks, hitting $1.3263, the euro finished yesterday 12 points in the red at $1.3208. The reason behind this was a cut in Spain's sovereign debt rating from A to BBB+ by Standard & Poor's. It came as a reminder that Europe is still mired in financial troubles, with the so-called peripheral economies getting worse. This morning the EUR/USD spread trading market is in retreat at $1.3160. The leading presidential candidate in France, Francois Hollande, vowed to renegotiate the European treaty yesterday. This has thrown fiscal austerity into question and kept the euro at arms length on the forex markets for the first part of the trading session. Later on, the Fed Chairman Ben Bernanke indicated that QE3 is still on the table if needed and so this hurt the dollar. Therefore, more on a relative basis than anything else, the euro/dollar forex pair gained 28 pips to close at $1.3222. This morning the euro is benefiting from the increase in risk appetite as it trades at $1.3260. We only saw timid attempts by the euro to rise during the morning session as FX spread trading investors contemplated the potentially worsening European sovereign debt crisis. The success of the Spanish and Dutch bond sales certainly calmed a few nerves, with another positive touch being offered by the recovering US housing sector. As a result, the single currency gained in the afternoon, ending 40 pips up at $1.3195, and this morning is adding to those gains by trading at $1.3210. Near term support and resistance is seen at $1.3125/05 and $1.3230 respectively. Sterling's strength just took a small rain check yesterday as it retreated from the €1.2275 level against the euro. 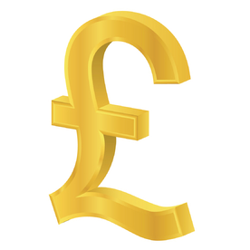 This morning the GBP/EUR spread trading market is at €1.2220 and all eyes are on the UK GDP data. If it surprises to the upside then we could see a test of yesterday's highs but there's stiff resistance at that level ahead of the major hurdle of €1.2400. A break above €1.2400 would see a three and a half year high against the single currency. Instead of showing a slight pick up in services and manufacturing for Germany and Europe as a whole, yesterday's figures presented a worsening picture. This cast fresh doubts that an economic recovery might be around the corner. Consequently, the euro fell back below $1.3200, losing 61 pips for the day to $1.3156. For now, support at $1.31 held and a retest doesn't look to be on the cards as the EUR/USD forex spread trading market is just higher at $1.3170. Sterling continues to receive a boost on the FX spread trading markets from those who seem to think the pound is a safe haven during these times of uncertainty. It's a vote of confidence in the currency considering that the BoE doesn't look like it's going to raise interest rates for quite some time. In addition, whilst QE might be on the back burner for now, growth is still flat lining and if the Eurozone situation worsens, it's only going to make the UK's job tougher. The problem with the pound getting stronger is that, whilst it makes holidays on the continent that little bit cheaper, it causes problems for our exporters. This is a sector that has been showing signs of life in the past few years and one that has been able to remain relatively competitive because of a weaker currency. A slowly strengthening pound is not particularly welcome as it's the equivalent of tightening monetary policy. The euro is falling on the forex spread trading market this morning, after spending the last three sessions going nowhere. EUR/USD moved up on Friday after positive comments by the ECB President Mario Draghi. He said that Spain and Italy had made remarkable progress in addressing their structural problems, discarding calls from the IMF and US Treasury for further action. The move back above the $1.3200 level has not lasted long however, with EUR/USD trading at $1.3140 at the time of writing. The sterling/dollar spread trading market remains above the $1.6000 level after the change of tone at the BoE, with Adam Posen dropping his calls for a round of QE4. The pound hit a 5-month high of $1.6078 yesterday as it ran into stiff resistance and, at the time of writing, is at $1.6065. Considering that the pound has not seen this level since November, FX spread trading investors will be keen to see how well the big figure of $1.6100 is defended by the bears. In terms of the euro, the pound has hit its highest level since August last year. Whilst we are a long way off seeing any rise in interest rates, we are less likely than the Eurozone to see a huge increase in QE. In fact expectations are rising for the ECB to look at other forms of stimulus to assist in propping up the banking sector. Sterling had a strong day on the forex spread trading markets yesterday after the Bank of England minutes showed only one MPC member still supported quantitative easing. In particular, arch dove Adam Posen gave up his call for further monetary easing after being previously in favour of more stimulus. Forecasts that inflation would be above target for far longer into the medium term shifted the tone of the minutes away from propping up growth to taming inflation. This brought forward the expectations of a rate hike and boosted the pound. Cable dragged itself back above the $1.6000 mark, trading at $1.6050 this morning, while the GBP/EUR spread trading market is just above €1.2200 at €1.2215. The pound strengthened on the back of the inflation numbers which showed that prices continued to rise, decreasing the chance of another round of quantitative easing. Cable closed at $1.5932, nearing in on the stiff resistance level at $1.6000, having traded as high as $1.5969. With the MPC minutes expected to show diminished appetite for further stimulus, the pound could have a serious test of the $1.6000 level. At the time of writing, however, the GBP/USD CFDs market is just holding back at $1.5900. On the forex spread trading markets, the euro initially sank below the $1.3000 to touch $1.2998 on Spanish debt fears, but managed to pare losses on better than expected US Retail sales. Reports that banks were hoarding euros ahead of a possible liquidity crunch, added to the strong bid seen in the afternoon and so the long term support at $1.3000 remains the key level. At time of writing the little positive tone to equity markets is assisting the euro a little with EUR/USD up at $1.3135. The euro reversed Thursday's gains, spurred on by a spike in yields on Spanish and Italian debt, indicating resurgence in the European sovereign debt crisis. Fears are brewing that yields could once again soar as trader's fear the Spanish government will need to be bailed out. Italy, with its even greater debt burden, is applying even more downside pressure to the single currency. With the mood so negative, traders could soon test the $1.3000 big figure and this morning EUR/USD is at $1.3015. USD/JPY has been in a tight range recently despite broad risk-off sentiment which has seen other currencies decline against USD. The pair is likely remain traversing sideways despite the volatility in other assets and currencies as, on the one hand, the prospect of further easing from the BoJ is still on the cards weakening the appeal of the yen. In contrast however, clear indications of another European sovereign debt crisis and possible QE3 from the Fed keep it well supported.